Today's post topic is the most awesome thing you’ve done because of diabetes. Obviously that’s a no-brainer for me. (Which is good, considering my brain is feeling pretty fried right about now.) I mean really . . . . what awesome thing have I done because of diabetes . . . .gee, I don’t know . . . . .maybe . . . .
I’ve had so much fun organizing DBlog Week for the past two years. 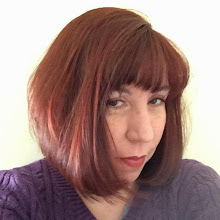 I’m excited to read all of the posts and get to know my fellow bloggers better. I hope it not only bonds our community but also teaches a thing or two to those OUTSIDE the D-OC. 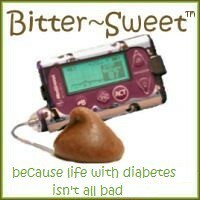 Yup, Diabetes Blog Week is by far the most awesome thing I’ve done because of diabetes! * D-Myths: I’m not talking about D-Myths like “people with diabetes can’t eat sugar” or “you get diabetes from being lazy” - we work to disprove those every day. Today lets PROVE some fun d-myths like #dprom (the prom for diabetics around the world), Sprinkles (the glittery unicorn of advocacy), or Blünt Lancet (the diabetic heroes of rock)! Choose one of these “d-myths” (or create one yourself) and take it someplace creative! You might write about the time Sprinkles visited you to spread the advocacy love - hopefully he / she/ IT?? brought you a cupcake too!! You could compose a new song for Blünt Lancet’s next album. Or you might give us every details of the night you went to #dprom. Write about any "myth" or story-line you can dream up! Let’s bring those “myths” to life! So there’s been a rumor going around that Blünt Lancet is getting ready to go out on tour. And that they’ll be covering the popular Police song “Don’t Stand So Close To Me”. Don’t forget to add your post to the Awesome things-Friday 5/13 Link List. Please enter YOUR BLOG’S NAME in the field marked Your Name and the link to YOUR SPECIFIC POST in the field marked Your URL. YOU ARE A ROCKSTAR! Will you please appear on our next album? PLEASE?? This cracked me up! Great job with those lyrics! The Police are awesome! Love the lyrics! The ARE awesome! That was awesome. Granted now I have this song stuck in my head. Oh my gosh, those lyrics are amazing! Thanks for making my day -and for organizing such an awesome D-Blog Week! That is so awesome on the lyrics! Nice job, Karen. You rock. Fantastic Karen. Thank you SO much for DBog Week, and especially for your rewrite of a Police classic - I'll never hear it the same way again! those lyrics are FANTASTIC, well done! and thanks for launching dblogweek. i particpated last year but haven't been able to this time around, though i have been enjoying reading others' posts. cheers! AWESOME! Now I'm going to be singing that song in my head for the rest of the night!